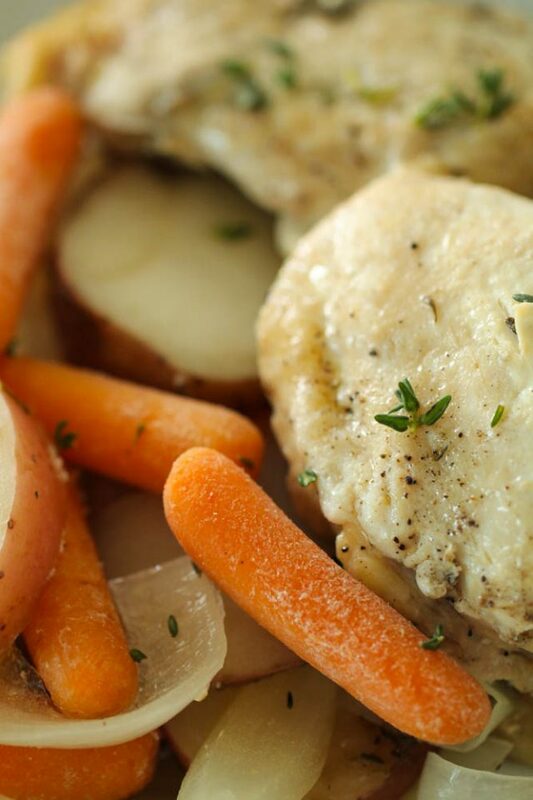 Hearty and flavorful chicken, carrots, potatoes and onions that combine to make an easy and delicious dinner. This Slow Cooker Chicken and Vegetables can be thrown together in a matter of minutes and then the slow cooker does all the work for you! 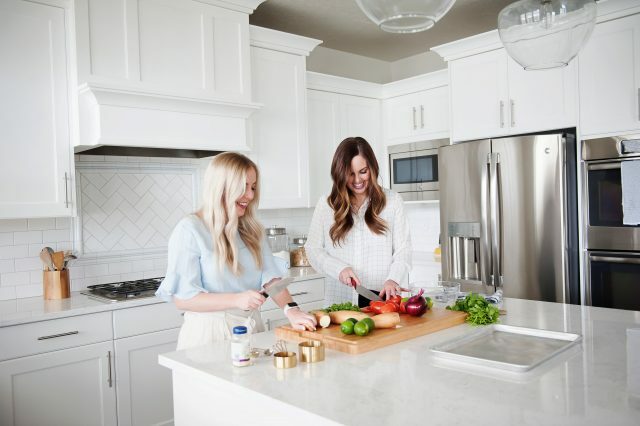 I love recipes that are easy to make, healthy and taste absolutely delicious. Not only was it quick to throw this recipe together, but my slow cooker did all the work for me! 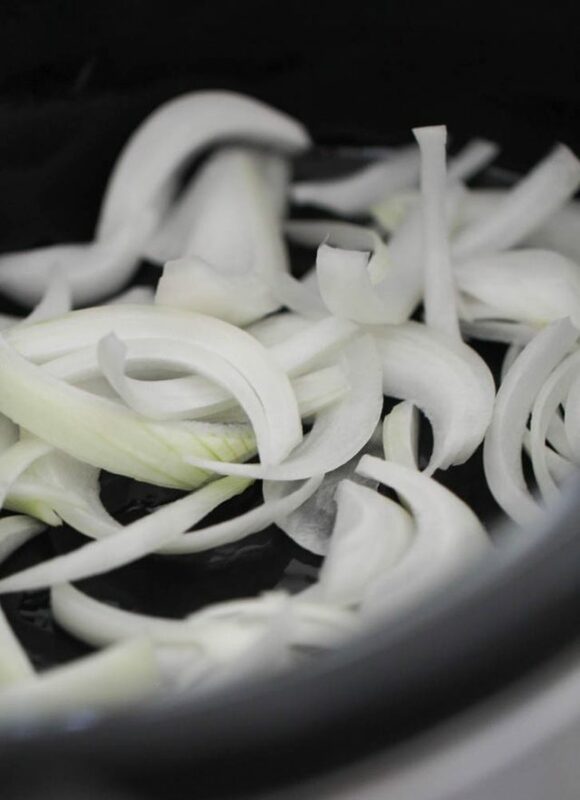 Start by spraying a slow cooker with nonstick cooking spray and place sliced onions in the bottom. 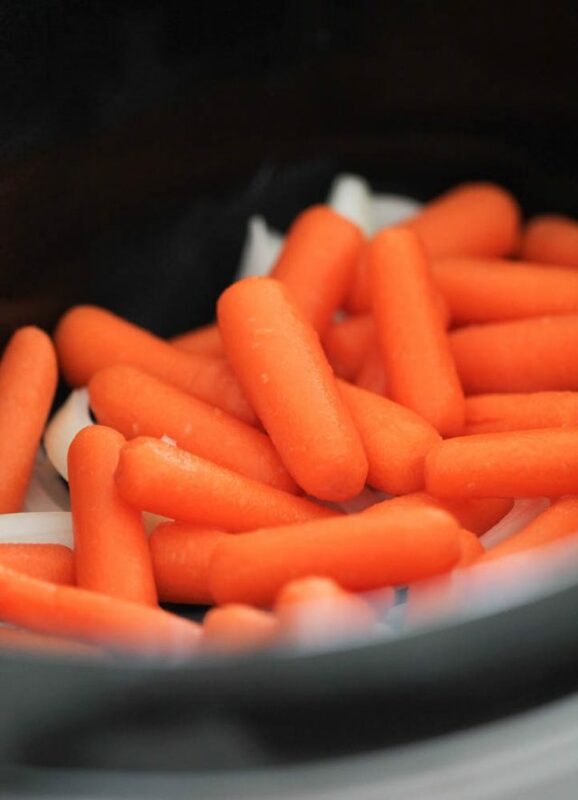 Top with a pound of baby carrots. 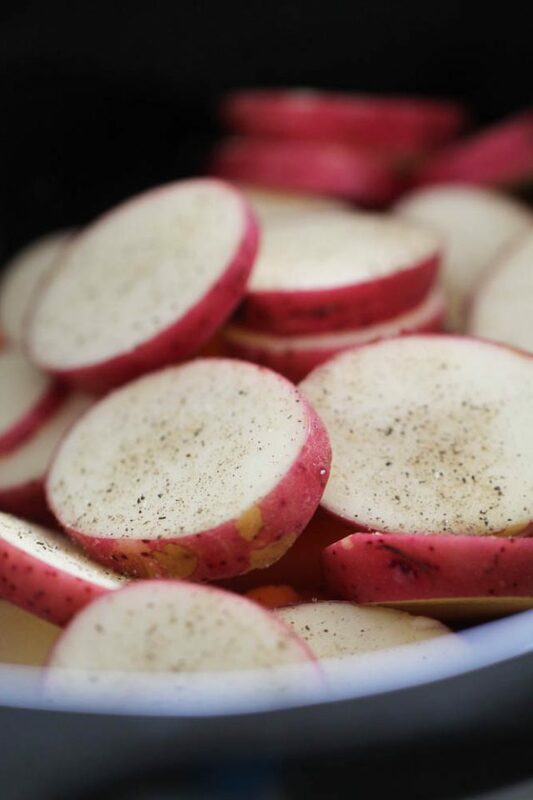 Place sliced red potatoes on top of carrots and onions and season with salt and pepper, as desired. Pour 1 cup chicken broth on top of everything. 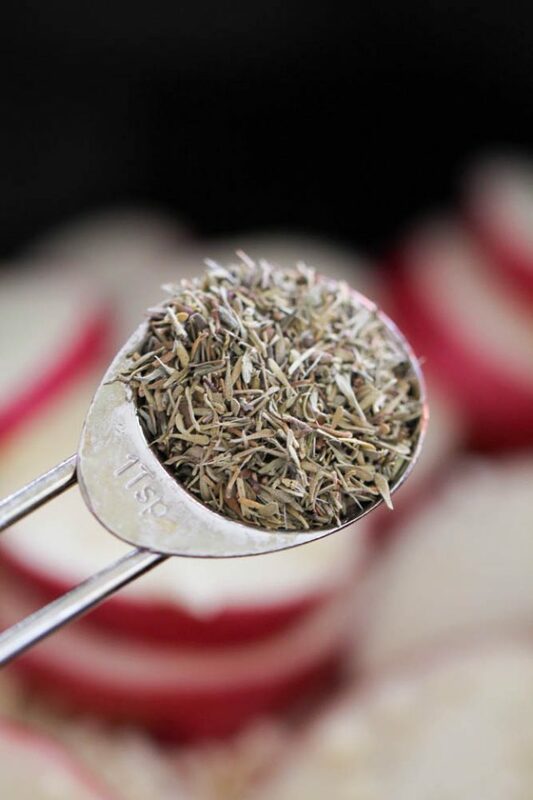 Sprinkle on 1 teaspoon of dried thyme. 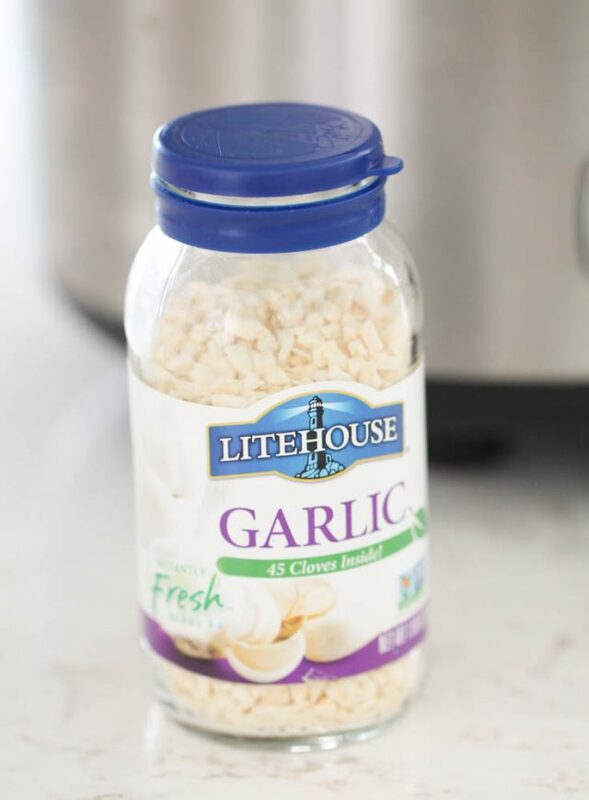 I love using fresh garlic, but if I’m short on time I will use this Litehouse Freeze Dried Garlic. It has all the flavor of fresh garlic, but I don’t have to worry about peeling and mincing garlic. It is my secret weapon, especially in slow cooker recipes! I used 1 Tablespoon of garlic and sprinkled it on top of the vegetables. Heat olive oil in a frying pan on medium-high heat. Place chicken thighs in the oil and let cook for a few minutes on each side or until slightly browned. You don’t want to cook your chicken all the way through at this point, that will happen while it cooks in the slow cooker with the vegetables. Place chicken on top of the vegetables in the slow cooker and cover with the lid. Set the slow cooker to low and cook for 4-6 hours or high for 2-3 hours. 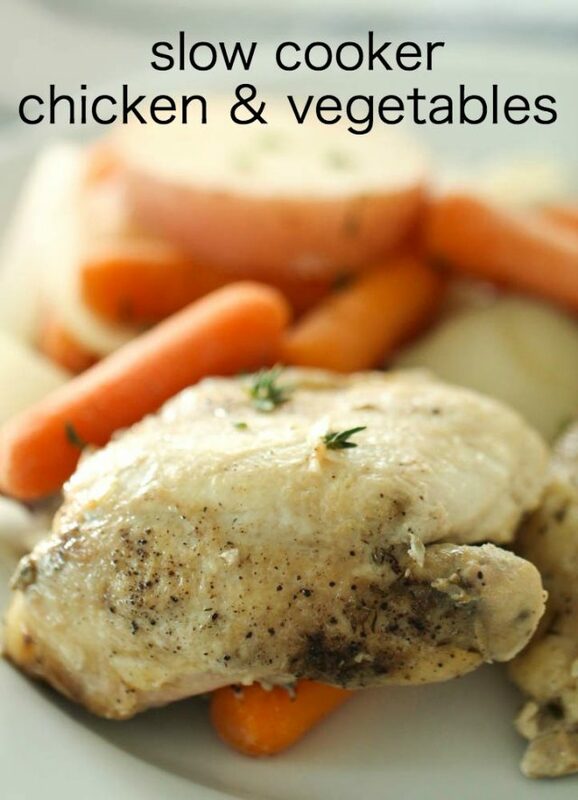 This Slow Cooker Chicken and Vegetables is easy to make, healthy and delicious! Even my picky eaters ate it and I ate the leftovers for lunch. Win-win! 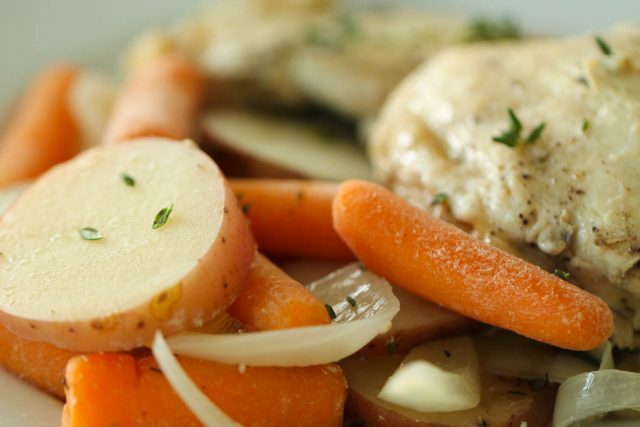 Juicy chicken and perfectly cooked carrots, potatoes and onions combine to make this Slow Cooker Chicken and Vegetables. 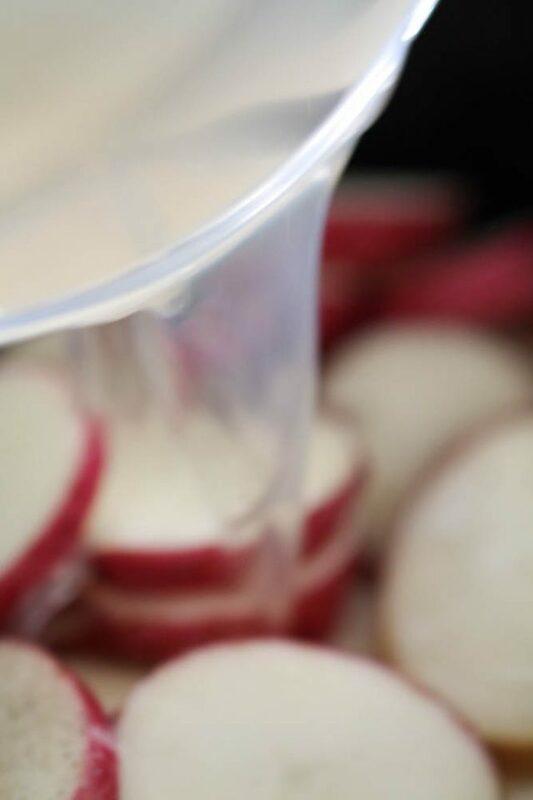 Place sliced onion in the bottom. Top with carrots, sliced potatoes, and sliced red potatoes. Pour chicken broth on top then season with dried thyme and minced garlic. Place chicken thighs in pan and cook for a few minutes on each side or until slightly browned. Cover slow cooker and cook on low for 4-6 hours or high for 2-3 hours. 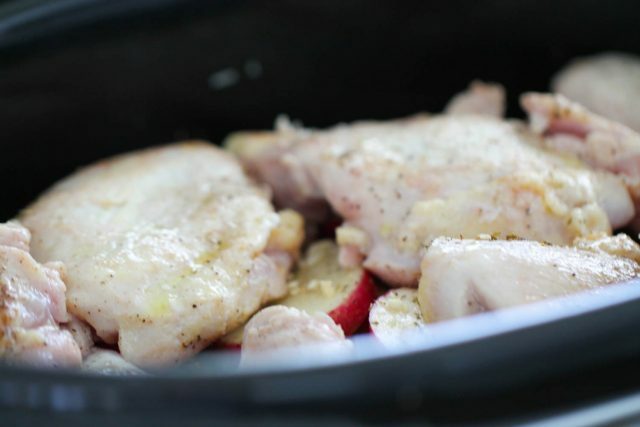 If you love slow cooker chicken recipes, try our Slow Cooker Creamy Lemon Chicken! Is it possible to make this on the pressure cook setting of the Instant Pot? If so, what would be the cooking time?